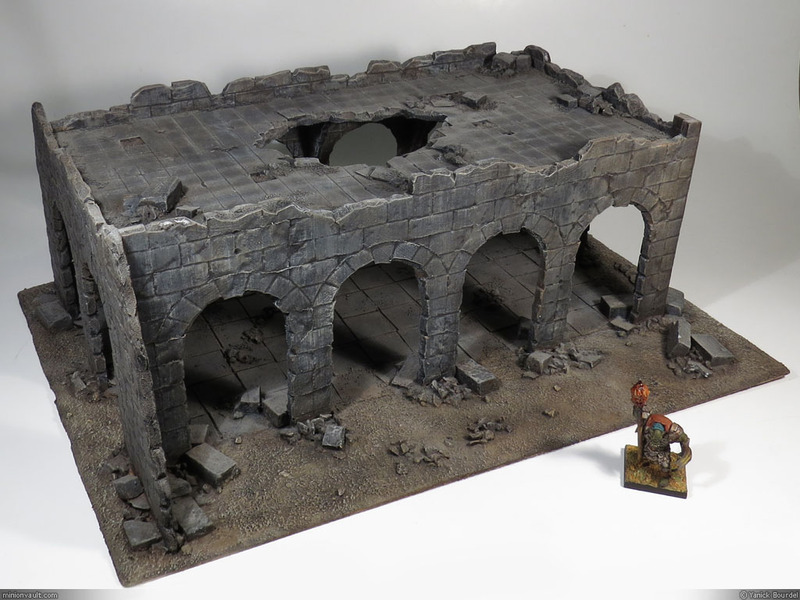 Just a quick post this time: a terrain made from foamcore board, based on an article found in an old edition of White Dwarf Magazine. The ‘bricks’ are etched on the surface with a X-Acto knife and a pen. The base is made of massonite. The top floor is removable. Individual blocks on the floor (rubbles) are made of styrofoam and real rocks. Overall, I am pleased with the resulting piece. But I found that brick walls made of styrofoam are easier to create than these one and they look more natural in the end. So I don’t think I will be using foamcore board again for brick walls. 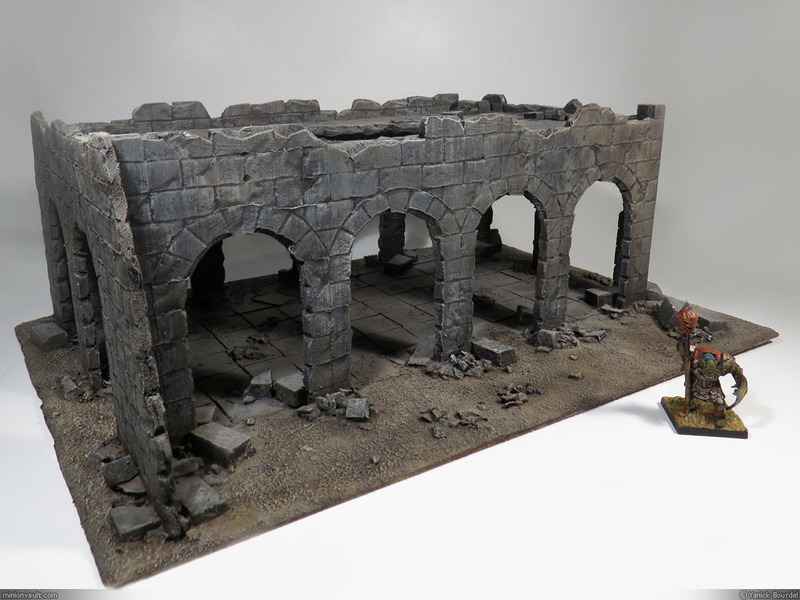 Nevertheless, this terrain is quite decent and pretty cool on the gaming table.